Starting a new startup while having other critical obligations in your life, like a full-time job or a family, is certainly challenging — but not impossible. 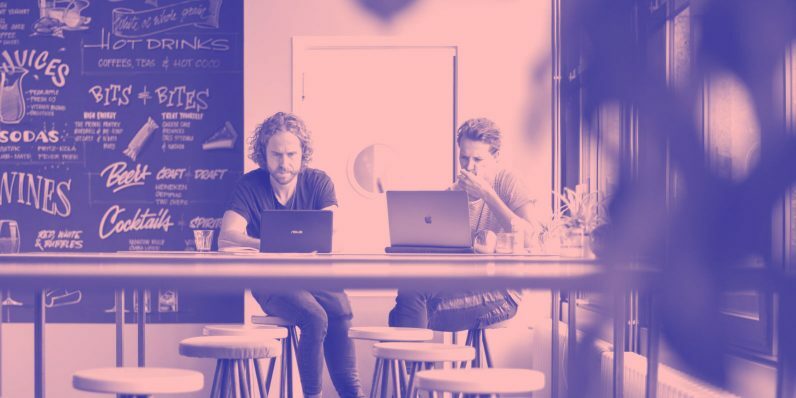 We asked three entrepreneurs in TQ, a tech hub in the heart of Amsterdam, who have experienced this first-hand, what their advice is if you are to engage in such an adventure. I started my career at a design agency teaching me the basics of being a designer and how business works. In the evening hours two friends and I started an online design magazine named FONTANEL, basically to satisfy our creative curiosity. Even though we didn’t earn a penny in the first couple of years we did manage to interview our heroes, experiment with the possibilities of the internet, grow our network, sharpen our design critique, and enable talented designers to find great new jobs. My top tip would be to find what your personal purpose is — what you find meaningful and what intrinsically motivates you — and combine that with the mastery of a business skill. I’ve found people usually do their best work if they combine the two. My personal purpose has always been to help people become happier through work and I’ve managed to combine that with my love for digital design by co-founding recruiting platform Homerun. I started my business next to having a full-time job in fixed income. When you have a family to provide for and a mortgage to pay, it’s easy to choose the certainty of a good employer over the uncertainty of running your own business with all the risk and responsibilities that come with it. No matter how organized you might be, if you don’t communicate to others it will create tension. I had to manage my clients, my colleagues, my employer, my investors, my employees, and my family. And of course I miscommunicated my agenda and thoughts and even forgot to communicate at all… more than once. That perhaps was the hardest lesson of all. You can have it all planned but if you don’t communicate your plans will fail, and you’ll lose both goodwill and credibility. Balancing my full-time job while founding my startup basically meant that after a day’s work at my job, and after our newborn baby got to sleep, I opened my laptop and started to work on my startup. I outsourced the web development to a small agency I knew and trusted via my network. I paid them with my holiday pay and bonus. Meanwhile, don’t forget to educate yourself. For instance, I didn’t know anything about SEO, Adwords, and social media marketing. So I attended trainings, meet-ups and watched many online tutorials. This allowed me to generate traffic and conversion without having to spend thousands of euros on consultancy. And finally, start with a business model from the beginning. Every hundred euro I earned, I invested back into marketing which allowed me to organically grow the company. This article was originally published on TQ.